A young boy’s touching gesture to help a family in the wake of Hurricane Irma is warming hearts on social media. 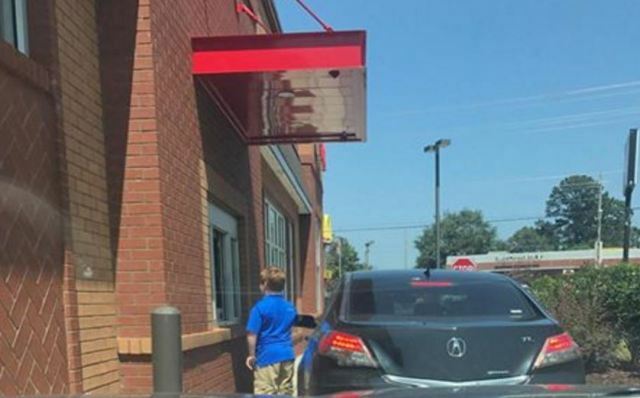 Landon was in line at the Chick-fil-A drive-thru in Alabama with his mom, Tara Routzong, last week when he noticed the license plate on the car in front of them. 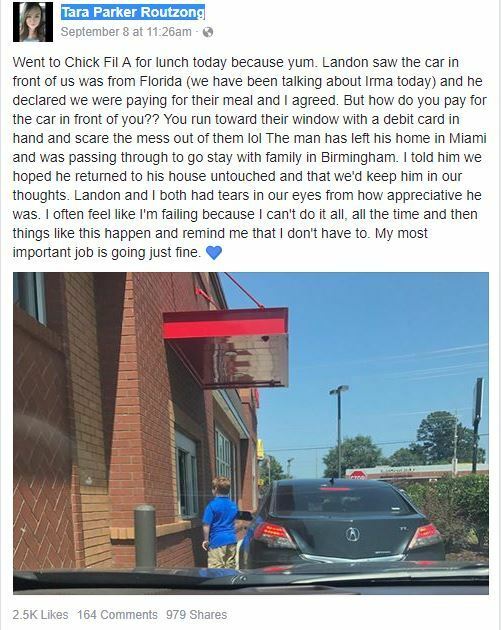 Since they had been discussing the hurricane which was headed toward Florida at that time, Landon pointed out the car was from the Sunshine State, his mom wrote in a post on Facebook. 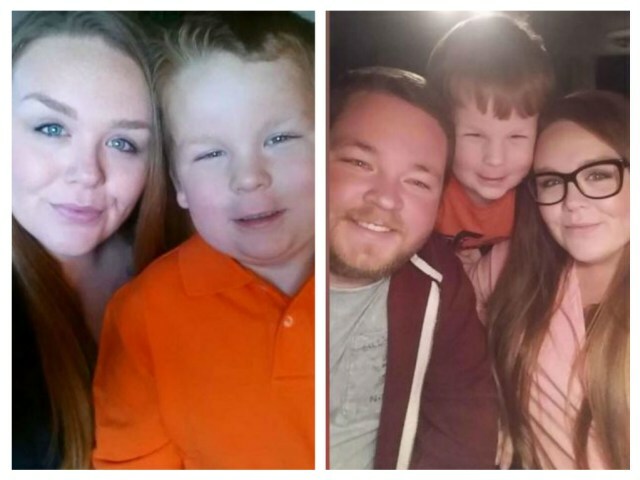 The young boy was determined to pay it forward, literally, and was not deterred when faced with the challenge of paying for a car that was ahead of them in line. Landon ran “toward their window with a debit card in hand,” his mother wrote, scaring “the mess out of them” in the process. Not exactly recommended behavior, but the dangerous act was rewarded with much appreciation by the Florida driver, who shared that he had left his Miami home to escape the hurricane and was headed to Birmingham to stay with family. The Troy, Alabama, restaurant was on the evacuation route out of Florida, Chick-fil-A director of operations Savannah Smith told ABC News. The proud mom’s post has earned 2,500 “likes” on Facebook and been shared nearly 1,000 times.